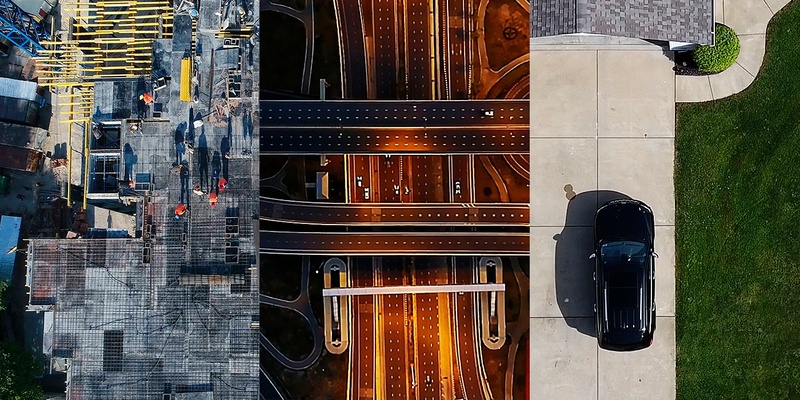 Today we are announcing several initiatives that support our renewed focus on delivering on-demand aerial intelligence for enterprises in five verticals: construction, insurance, energy, government and agriculture. This focus is meant to break us out of the silo and go beyond just being known as the precision agriculture platform. We have added industry experts from leading companies over the past few months and continue building our advanced drone and data analytics technology for these new markets. The newly formed services team strengthens our ability to help its clients integrate aerial intelligence. Led by executives from leading firms like Booz Allen Hamilton, Deloitte, Oracle, Tetra Tech, Informatica and others, the team has decades of experience working with enterprises to add advanced technology into their existing operations. To date, results from clients across various sectors support the transformative value of drone technology by improving efficiency, increasing safety, mitigating risk and driving revenue. “For enterprises, the first step to building a drone program is proving its value. By augmenting key processes like data capture, analysis, and visualization, program leaders will derive rich, actionable business intelligence. That takes more than just flying a drone or creating a map,” said Jeffrey Freund, VP Construction Services at PrecisionHawk, who came to us from Atkins is one of the world's most respected design, engineering and project management consultancies. To further support this expansion into new markets, we are also adding to our ‘Smarter’ Drone and Data Packages Series. The pre-assembled packages for the construction, insurance, energy and government sectors include a drone, PrecisionHawk’s suite of advanced sensors, plus integrated flight and data analytics software. To deliver ‘Smarter’ packages, PrecisionHawk is expanding on its exclusive partnership with DJI, the world’s leading drone manufacturer. By coupling easy-to-use hardware with advanced analytics tools, they’re setting a new standard for drone remote sensing. Smarter Construction Package – Generate as-built 3D models with photogrammetry data and integrate those models across all phases of a project from pre-construction to project hand-over. Smarter Insurance Package – Create 3D imagery combined with analysis tools and modeling methods to quickly and efficiently deploy loss adjustment resources after a natural disaster or property damage following a wind, hail or fire event. Smarter Energy Package – Cover a large area in a systematic way to map and assess the environment. inspect pipelines and power-lines to proactively identify encroachment and sink spots and inventory assets. Smarter Government Package – Attach advanced sensors like LiDAR and Thermal to better understand, predict changes and plan for the built world and environment. Smarter Agriculture Package- The original smarter package. Support major decision-making throughout the season such as optimizing inputs, reacting to threats, improving variable rate, increasing efficiency of crop scouting and estimating yield. And for the first time, PrecisionHawk is offering its ‘Smarter’ packages as a monthly subscription. This promises customers access to the latest technology advancements in both hardware and software as they become available. This week we are at the Interdrone conference in Las Vegas, NV. Come visit us at booth 301 and see what it looks like to be a pioneer of aerial precision. Or if you want to learn more about the tools we are launching across these new sectors, the team we are building or talk to one of our experts, check out lp.precisionhawk.com/pioneer.